Chimeric Antigen Receptor T-cell (CAR T-cell) therapies are providing Australian blood cancer patients with real hope. From the Federal Government announcing an investment in the Peter MacCallum Cancer Centre to support CAR T-cell treatment to the incredibly heart-breaking news of a much loved Aussie Actor, Tom Long having to fly to the USA for CAR T-cell treatment to try and beat myeloma. It is clear that the results seen so far with CAR T-cell treatments are remarkable and we appear to be at a turning point in the way we treat cancers. Both Epworth HealthCare and the Snowdome Foundation pride themselves in not only delivering cutting-edge research and treatments but also hope to Australian blood cancer patients. Scott Bulger, Executive Director of the Epworth Medical Foundation stated that the night was about supporting research ideas and making them happen. 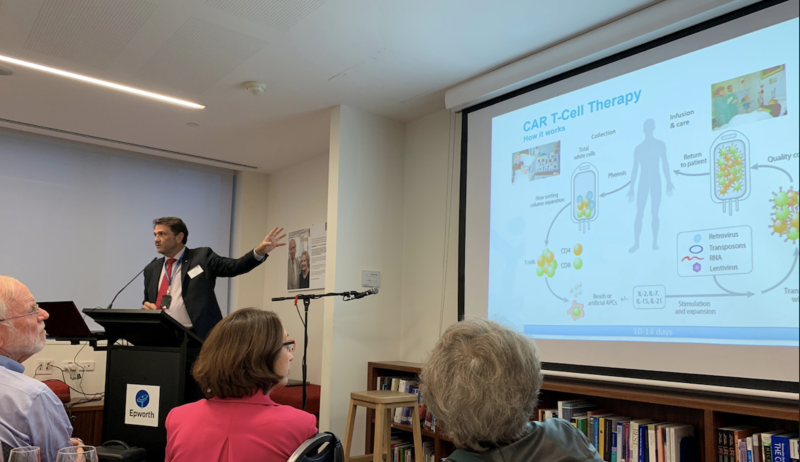 Prof Miles Prince AM went on to explain how CAR T-cell therapy works to recruit your own immune system to fight off cancer. He discussed how only ten years ago people were in disbelief that we could extract our cells, genetically engineer them and reintroduce them into our system, to kill off cancer.  It seemed like complete science fiction. He discussed the case of a young girl, Emily Whitehead, in the US with leukaemia who was on the verge of dying when they experimented with CAR T-cell treatment for the first time. Not only did Emily respond to the treatment, she was cured! Just like this little girl, multiple myeloma patient, Tom Long has exhausted every other treatment option available and his only remaining option is a CAR T-cell trial in America. Miles’ raw emotion at having to witness one of his patients risk everything to travel to the US for treatment because we couldn’t deliver it in Australia was heart-breaking for all to see. “I’ve lost too many patients to blood cancer over the years, we have a chance to stop this with this new treatment, but we need to invest in treatment facilities here in Australia” Miles Prince pleaded. Delivering CAR T-cell therapy is not like any other cancer treatment. The process of cell extraction, purification, genetic modification and reintroduction requires a highly trained team and a specialised laboratory. The Epworth knows that in a short period of time the demand for CAR T-cell treatment will explode and they want to ensure they are ready to meet patient needs. At present, the Peter MacCallum Centre is the only hospital in all of Australia that has the authority to deliver CAR T-cell therapies. Demand will outweigh capacity in a short period of time. Nicole Brooks, Molecular Oncology and Cancer Immunology Research Program Manager, spoke of her drive to ensure that the patient journey was understood and that that the Epworth would be authorised and ready to deliver CAR T-cell treatment as soon as possible. Dr Costas Yannakou, Haematologist, emphasised that the only thing we can be certain of in life is change and the team at the Epworth were trying to be prepared to meet this next big change in order to deliver the best care possible. To provide a patient perspective on the advances being made and the cancer journey, were Alicia Snowden, Clinical Nurse and Sharon Leibel, lymphoma patient. At the end of the day, all patients want the same thing. They want to know someone has their back but most of all they want hope. The Snowdome Foundation and Epworth Medical Foundation want to partner together to bring hope to blood cancer patients. It will take at least $7.5 million in funding to bring CAR T-cell treatment to the Epworth but we will achieve this with your help.